We have lived in villages a long time. The village was the first model for communal living. Towns came much later, then cities. Later still came suburbs, neighbourhoods, townships, communes, kibbutzes. But the village has endured. Across England, modernity creeps up to the boundaries of many, breaking the connection the village has with the land. With others, they can be as quiet as the graveyard as their housing is bought up by city ‘weekenders’, or commuters. The ideal chocolate box image many holidaying to our Sceptred Isle have in their minds eye may be true in some cases, but across the country the heartbeat of the real English village is still beating strongly – if you can find it. To this mission our intrepid historian and travel writer Tom Fort willingly gets on his trusty bicycle and covers the length and breadth of England to discover the essence of village life. His journeys will travel over six thousand years of communal existence for the peoples that eventually became the English. 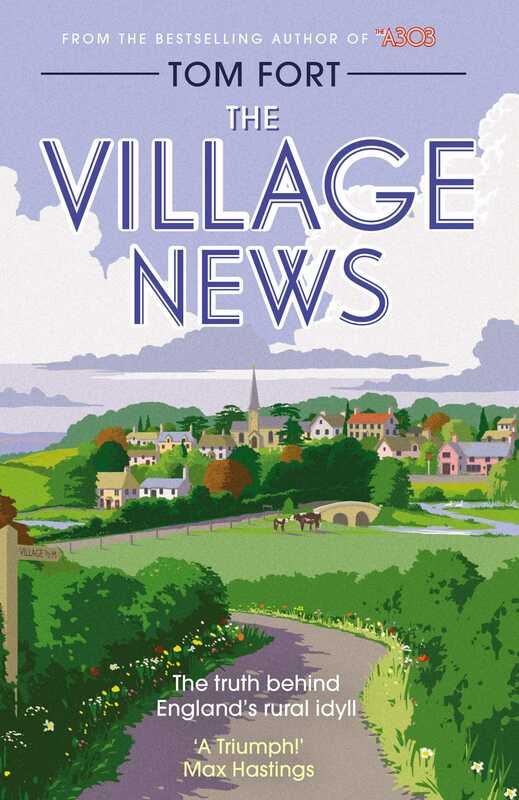 Littered between the historical analysis, are personal memories from Tom of the village life he remembers and enjoys today in rural Oxfordshire.